Floor Area: 16,812 sq. ft.
Land Area: 125,452 sq. 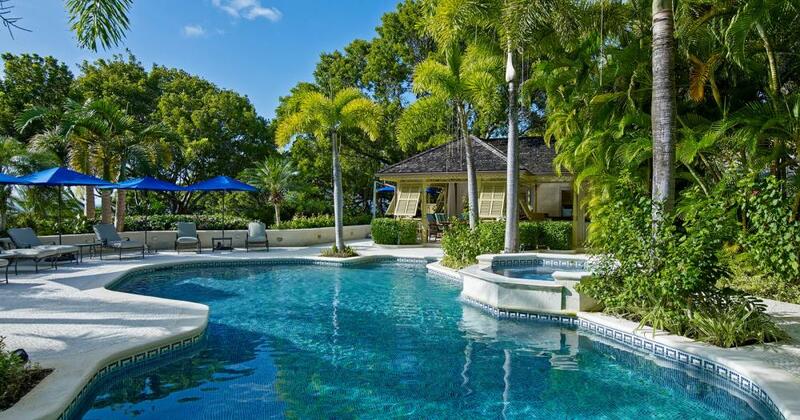 ft.
Olivewood is located on the prestigious Sandy Lane Estate. 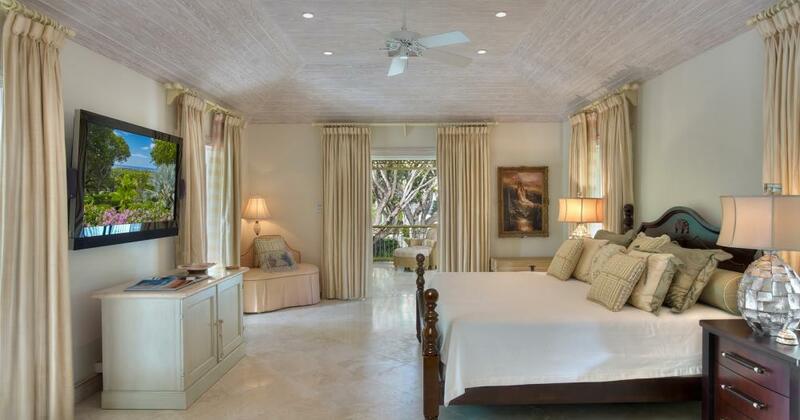 This luxurious property boasts 6 bedrooms and overlooks the third fairway of the Old Nine Golf Course at Sandy Lane. 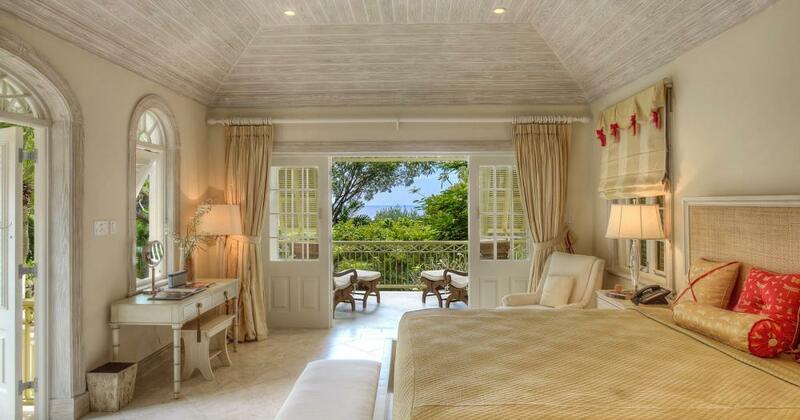 It's private ridge front location affords Olivewood spectacular views of the West Coast and Caribbean Sea. Olivewood, which sits on a double lot comprising almost 3 acres of land, was designed by Michael Gomes and completed in 2004. 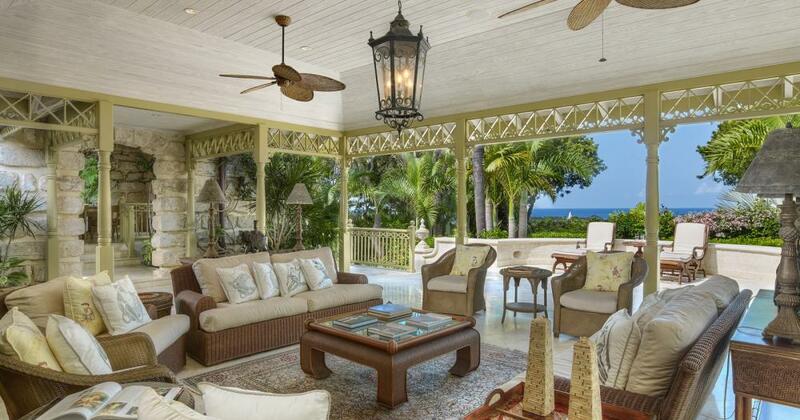 Its architectural style is Classical Barbadian presenting a unique marriage of two vernacular styles of architecture - the Barbadian Plantation House, with its formal solid structures, wrap-around verandahs, plantation shutters and classical detailing, and the indigenous Chattel House, reflected in the use of the more whimsical timber gingerbread facia boards, turned timber posts and decorative brackets. Olivewood is ingeniously designed to afford maximum privacy. The layout of the villa is based on Balinese design principals, with a collection of connected “pavilions” and intertwined garden courtyards set around a swimming pool and garden water features. 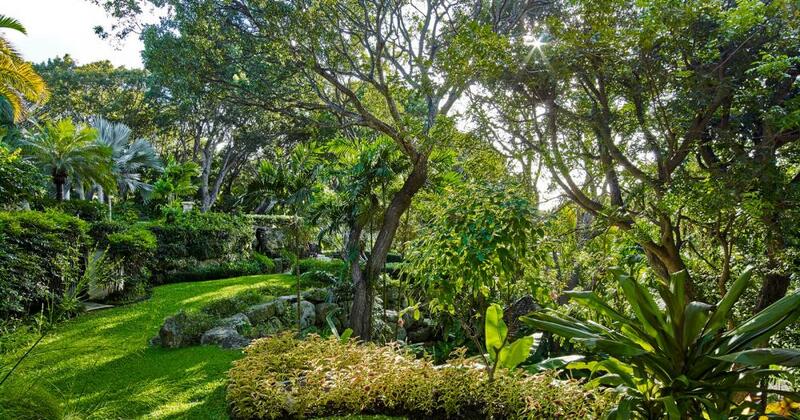 The planning and positioning of the various “pavilions” maximises views to the Caribbean Sea, the golf course and surrounding gardens while providing natural cross ventilation through the entire house. The main house consists of five “pavilions.” The first of these is the bedroom building which features four beautifully designed rooms including the phenomenal master suite which occupies the entire upper level. The other pavilions are the family room, the garden entrance foyer, the living room & main verandah building, the dining room building and the breakfast and service building. Designed to look like a “ruin”, the dining pavilion is a unique space, with covered breezeways connecting it to the adjacent service pavilion and main verandah/living room pavilion. 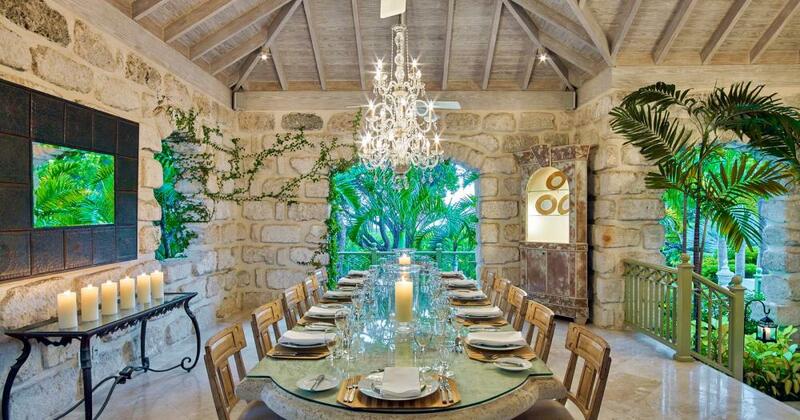 Constructed in reclaimed old coral stone from a demolished sugar factory, its oversized space with rugged window and doorway openings, natural coral stone walls with broken away areas that allows the garden in, and the high exposed timber roof structure with crystal chandeliers all work together to create a magical setting for lunch or dinner. In addition to the main house, there are two other pavilions, the pool pavilion and a two bedroom guest cottage that are set around the central swimming pool with terraced gardens cascading down to the golf course at the lower level. For the golf lovers, Olivewood is home to a custom designed Ian Woosnam putting and chipping practice green. The self-contained two bedroom cottage is presently used as an office area. This cottage sits on the second of the two lots that make up the Olivewood estate. It is adjacent to the lot that the main house is on and has its own entrance and driveway. The property is completely enclosed and has electronically operated main gates. 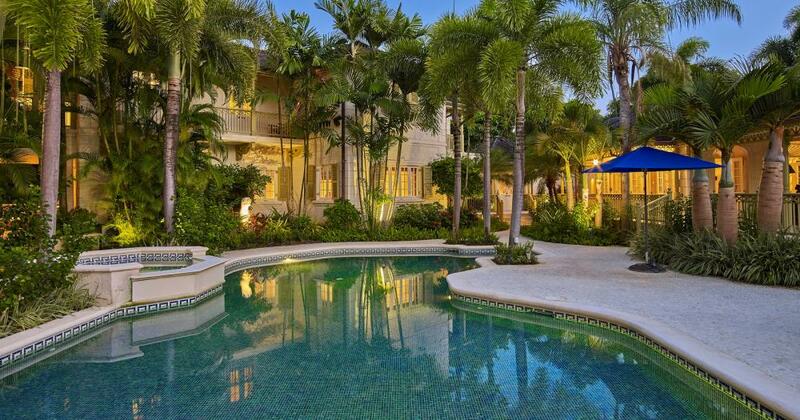 There is a triple car garage and a cabana at the Sandy Lane Property Owners Beach Facility.